To evaluate the impact of magnetic resonance neurography (MRN) on diagnostic thinking and therapeutic choices in patients with suspected peripheral neuropathy. IRB approval was obtained for this HIPAA-compliant study. Questionnaires were administered to six surgeons regarding the diagnosis and treatment in 85 patients suspected of having peripheral neuropathy, before (pretest) and after (posttest) MRN. Multiple outcome measures related to diagnostic confidence and surgical decision-making were assessed. The final cohort included 81 patients (30 men and 51 women, age 47 ± 17 years). The following changes were observed from pretest to posttest questionnaires: 23 % in nerve involvement (P < 0.05), 48 % in degree of confidence of nerve involvement (P < 0.01), 27 % in grade of injury (P < 0.05), 33 % in differential diagnosis (P < 0.05), 63 % in degree of confidence in need for surgery (P < 0.001), 41 % in timing of surgery (P < 0.01), 30 % in approach to surgery (P < 0.05), 58 % in degree of confidence in approach to surgery (P < 0.001), 30 % in estimated length of surgery (P < 0.05) and 27 % in length of incision (P < 0.05). The dichotomous decision regarding surgical or nonsurgical treatment changed from pro to con in 17 %. MRN results significantly influenced the diagnostic thinking and therapeutic recommendations of peripheral nerve surgeons. • In patients with peripheral neuropathy, MRN significantly impacts diagnostic thinking. • In patients with peripheral neuropathy, MRN significantly impacts therapeutic choices. • 3-T MRN should be considered in presurgical planning of patients with peripheral neuropathy. The scientific guarantor of this publication is Dr. Avneesh Chhabra. The authors of this manuscript declare relationships with Siemens, Carestream and Toshiba. The authors of this manuscript declare no relationships with any companies whose products or services may be related to the subject matter of the article. This study has received funding by GEAUR and Siemens. Dr. John Eng kindly provided statistical advice for this manuscript. Two of the authors (Majid Chalian and Sahar J. Farahani) have significant statistical expertise. No complex statistical methods were necessary for this paper. Institutional review board approval was obtained. Institutional review board approval was obtained for one-third of the patients. The other two-thirds were enrolled following waiver of consent under another related IRB, since the scans were performed before they could be consented as part of their clinical care. This study is an observational cross-sectional study performed at Johns Hopkins Hospital, Baltimore, MD. 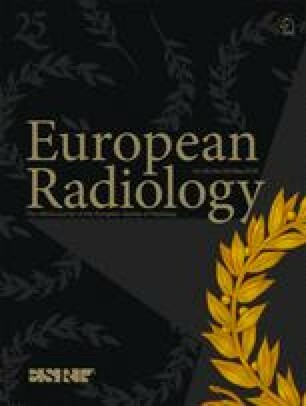 The author would like to thank editor John Garinn, UTSW Department of Radiology, for his contribution to the manuscript.